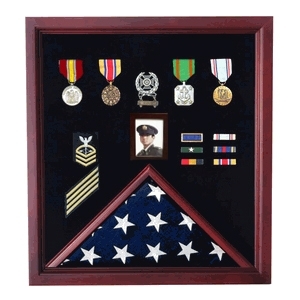 These beautiful Flag Photo and Badge Display Case, cherry flag and medal cases are the perfect military gift idea. 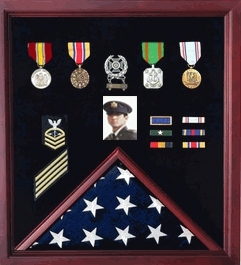 It can serve as a veteran flag display case, and can hold a flag and certificate for a 4x6 ,5 x 9.5 flag or a 3 x 5 flag. Our flag display cases are proudly made in America. Only the highest quality materials are used to make this wonderful piece for your living room, home office or fireplace mantel! If you are looking for a 4 x 4 flag holder, look no further than this beautiful cherry flag holder. It is exquisitely crafted to the highest standards. FlagConnections has the best prices and best selection, so don’t be disappointed by another retailer. 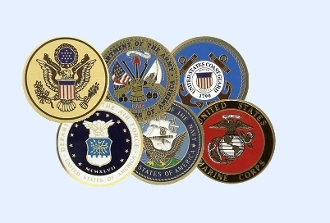 FlagConnections is dedicated to offering the best flag display cases, military flag holders, flag and document holders, flag and badge display cases, memorial flag display cases and much, much more! This Flag Photo and Badge Display Case flag holder features top-grade cherry with a glass front and back lining to protect your cherished flag. There are also two convenient interior compartments for hanging medals inside the case, as well as other keepsakes. This cherry flag and medal case will surely make a great gift. The real cherry wood makes an excellent to any room and any decor. 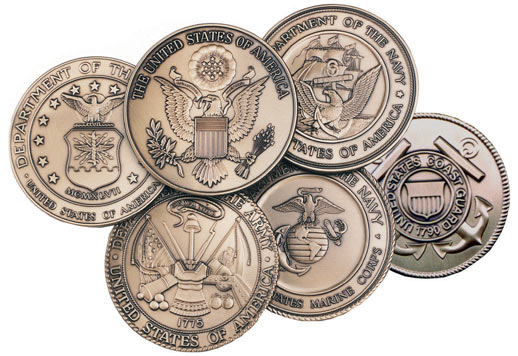 Also, available are metal engravings for military service branch medallions. This is the perfect way to customize this gift for your active, retired or deceased member of the U.S. military. These options are very affordable, and you can be assured of the highest quality materials for their construction. As always, Flag Connections is proud to support U.S. servicemen and women and their families with the best products at the lowest prices. It will hold a folded 4' x6' flag in the flag case and the backboard is perfect for hanging medals and other memorabilia. Orders for the flag cases for a 4x6 flag are usually shipped out within one business day to places within the USA and Canada.